Strategic Airport Planning and Marketing exhibits the entire strategic conception and business plans for constructing airports, establishing master plan and running the airport operations. Why Airport Strategic Business Planning and Marketing? 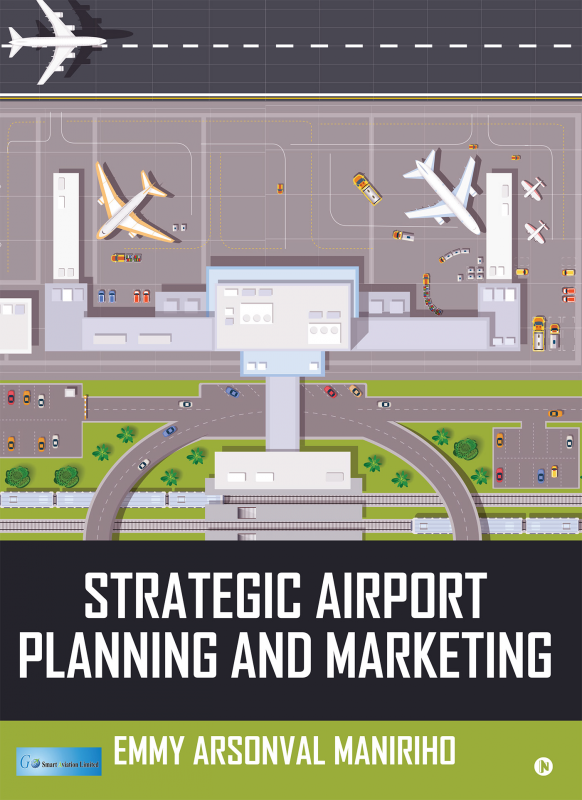 This book defines strategic planning and considers plan elements, review Planning Process and measuring airport success. It showcases the best management practices, aviation trends and strategic thinking are explained broadly. It is not possible and it may look absurd if the airport companies fail to plan and market like other business enterprises. This book poses stress on strategic airport planning, operational and managerial planning, and on how to deal with all parties involved in airport development processes. Emmy Arsonval Maniriho is the Co-Founder and CEO of Go Smart Aviation Ltd. With his vivid dream of becoming an expert in the aviation industry and his thirst for knowledge in many fields, he obtained an MBA in Airline and Airport Management, M.A. Human Rights, PGD in NGO Management, BA in Journalism and Communication, Diploma in Theology, Diploma in United Nations and International Understanding. He thus has broad knowledge and experience in international air transport, management, tourism and hospitality management. He is keen to train and educate aviation aspirants. He has co-authored various scientific research papers which have been published in international journals. He has also written a number of articles. He has worked extensively as an expert in Public Relations, Communication Officer, as a Chief Editor and both a Radio and Print Journalist for more than five years. Emmy was born in Rwanda in 1986 and graduated from various Universities: Bharathiar University, Madurai Kamaraj University and from the University of Rwanda. He is a member of different organizations such as Indian Federation of United Nations Associations (IFUNA), Famille de Paix, and a member of L’Institut de Formation et de Recherche Georges-Henri Lévesque (IFR-GHL), based in Quebec, Canada.